NF (6214) - Three days top formed at 6240-6250 so if trade above this level only, rally continue to 6327 otherwise correction to 6185 and 6155 but after that 6090. JSWSTEEL (1382) - As posted and as expected, on 14 aug and 09 sep. it moved from 1140 to 1388. now what next ? It trade and stays above 1400 next big move starts from here and target for that, will be post soon. now going to attack 1440 and 1500. 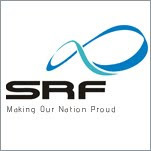 SRF (331) - On 29th sep. posted here, above 299 going to attack 340. as expected, yesterday it made a high 339. now what next ? 340 is the resistance level, so expect correction . But in case if trade and stays above 340_350, then it move to touch 370_380. TATACHEM (414) - Above 417_421 upmove to 442_452 and after that 475.